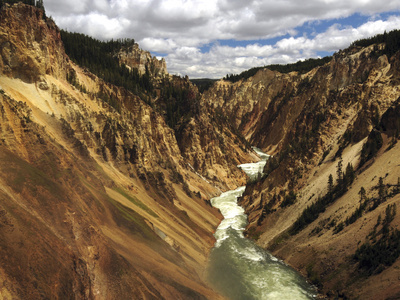 Yellowstone was the first established national park in the country’s history, discovered in 1872. The original purpose was to preserve the geysers, but since many wildlife animals populations started facing extinction it now doubly serves to protect animals as well. The park is home to diverse wild animals, wildflowers, beautiful waterfalls and other gorgeous sights. Discover more spectacular features about this park, and the artwork we carry in our assortment dedicated to this natural wonder. 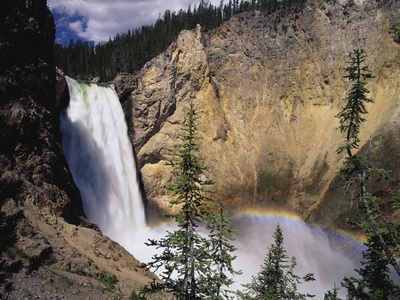 Yellowstone Park contains three main attractive waterfalls: the Upper Falls, the Lower Falls, and the Crystal Falls. Each of them reside in the Grand Canyon of the Yellowstone. Lower Falls is more renown as the most beautiful. A person by the name of N.P. 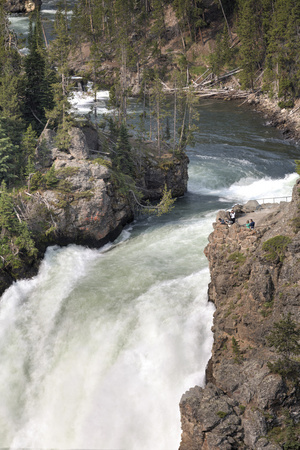 Langford once commented about the Lower Falls: “A grander scene than the lower cataract of the Yellowstone was never witnessed by mortal eyes.” The Falls measures 308 feet and the height is more than twice the size of Niagara Falls. Upper Falls, measuring 109 feet, is significantly smaller but it’s a popular view for most people. A famous pathway called Uncle Tom’s trail leads visitors to stunning views of the Upper Falls. The third most significant waterfalls is Crystal Falls. It lacks the power of the previously aforementioned falls, but it’s still a sight to behold. Old Faithful erupts every 35 to 120 minutes everyday. It’s not the biggest geyser, or the most frequent geyser, but it’s the largest frequent geyser in Yellowstone. 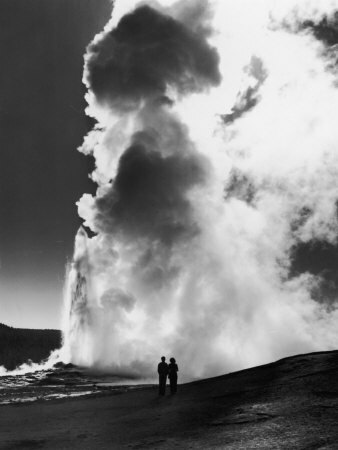 Two misconceptions about Old Faithful is that it’s slowing down and waning; these beliefs form because of the somewhat irregular duration of eruptions. Sometimes the average eruption will be 90 minutes, other times it can take 2 hours. The rangers can oftentimes estimate with extreme accuracy when the proceeding blast will happen. Yellowstone National Park is famous for being the home of grizzly bears, wolves, bison, elk, horses, eagles and trumpeter swans. 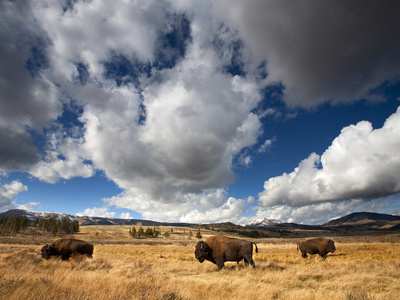 The park is mostly known for the bears and bison that roam freely. They’re usually visible in the evening and early morning hours when they feed. Elk and bison are more likely to reside at the edges of the park, while bears and other animals most likely roam in the middle of it. Visitors can hike the Canyon when visiting Canyon Village. Four notorious lookout points provide stunning of the Grand Canyon: Lookout Point, Red Rock Point, Artist Point and various spots along the South Rim Trail. 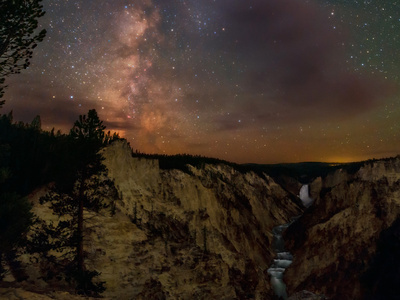 Yellowstone National Park offers some of the most breathtaking nature views in the United States. 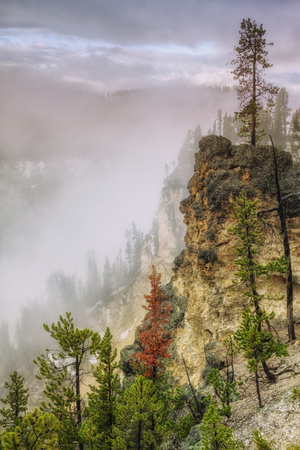 You can discover art prints and photos of these stunning sights by visiting our Yellowstone poster and print collection on Allposters.com. Find the perfect photography print to hang in your space. Next 10 Posters of Things to See in Washington D.C.